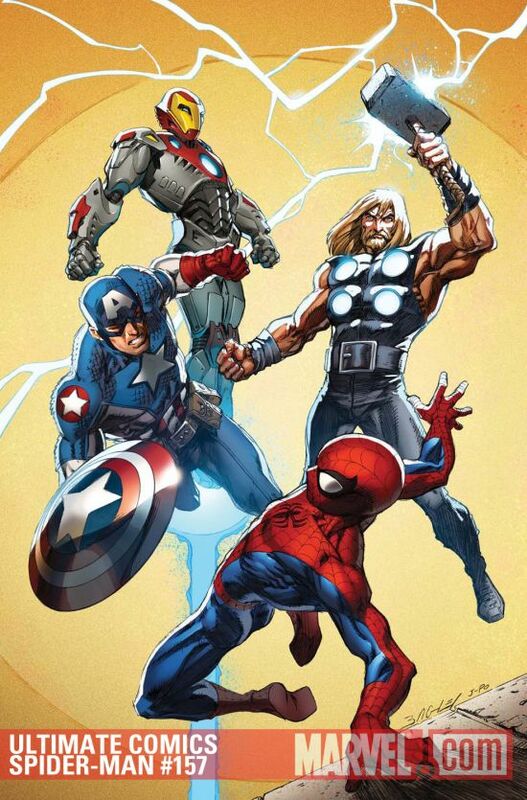 Marvel Comics wants to remind you that Ultimate Comics Spider-Man #157 and Ultimate Comics Avengers vs. New Ultimates #3 hit the shelves today. 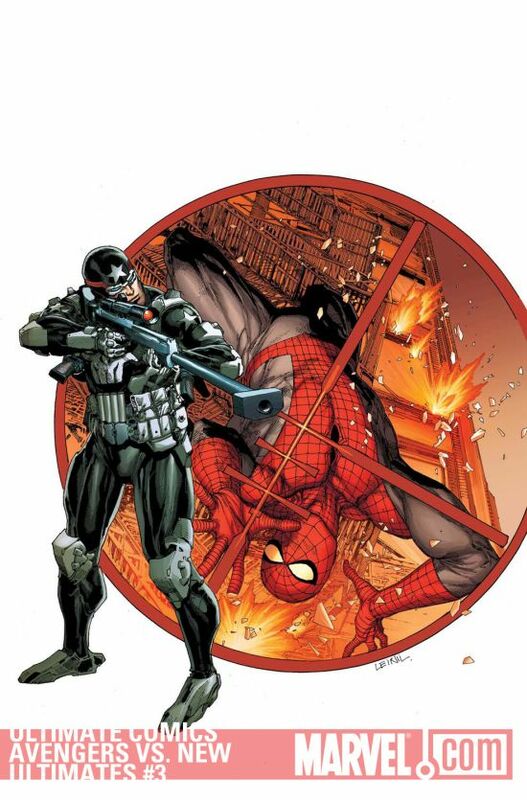 Marvel’s teaser is “One Shot Changes the Ultimate Universe!” I assume they are talking about Jaegermeister…..
It’s the story that has fans and critics clamoring and today, in ULTIMATE COMICS SPIDER-MAN #157 and ULTIMATE COMICS AVENGERS VS. NEW ULTIMATES #3, one shot will bring the Ultimate Universe to its knees! From two different perspectives, discover the staggering circumstances behind the end of an era in a gut-wrenching, powder-burned tale that shows in the Ultimate Universe no one is safe. With a single shot, the Ultimate Universe is about to change forever and, when the smoke clears, the paths of Spider-Man and the Ultimates will be forever linked in ways never before thought imaginable. So be the first to your comic shops today and see how Brian Michael Bendis and Mark Millar orchestrate this pivotal moment in Ultimate history, only in ULTIMATE COMICS SPIDER-MAN #157 and ULTIMATE COMICS AVENGERS VS. NEW ULTIMATES #3! ULTIMATE COMICS X #5 - previews!